Hello and welcome to the new look Copperline. It feels odd writing that as I’ve been thinking about this new blog for some time – in a fairly abstract way from the end of last year where I realised that my two existing blogs needed to be combined. Why, you might ask? 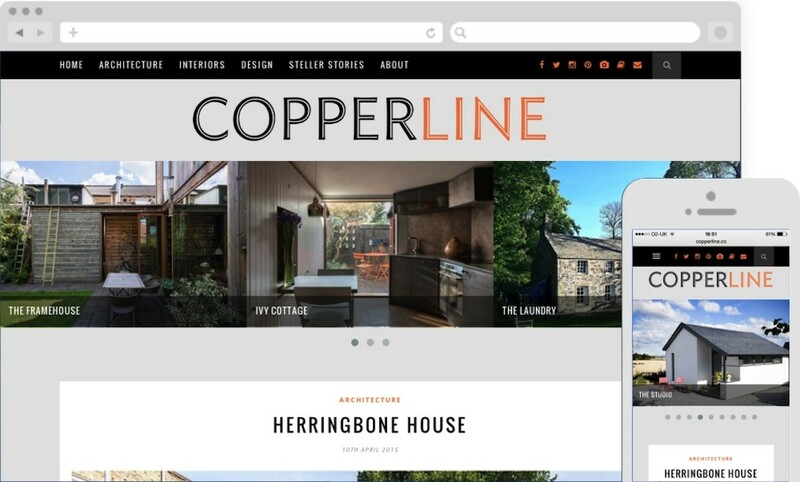 Well, when I launched The Property Files back in March 2013, I had a clear concept of what I wanted that blog to be about, as I did when I launched Copperline – the first Copperline – in October the same year. But blogs evolve. That’s part of their beauty. 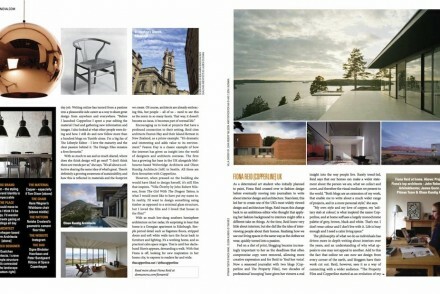 And by the middle of 2014, as The Property Files became more design-led in terms of the properties being featured, the two blogs started to feel interchangeable. I published my first Spaces story on Steller in October last year, and that was the turning point as Steller enabled me to publish different types of stories in one place, and it felt exciting. It felt new. I wanted a blog that felt the same way, and one that brought all different types of content together. Which brings me to Copperline, the new Copperline that combines interiors, architecture and property with interview-led features. There will be some new things cropping up here. When I started this process I had no idea how or indeed if I could combine two blogs hosted on Tumblr, so I turned to 286Blue, who designed this new site. Combining content from two Tumblr blogs to create a single website on a different platform was a first for the designer – this can’t be that common a request after all! – but they did it. And kudos to 286Blue for taking on this challenge, and for dealing with every “what about this detail?” query that came their way. And for somehow intuitively understanding what I wanted more than I did! There were things I loved about the old Copperline: the palette and the logo by my talented designer friend David Gray, and the large scale photos. I wanted a clean yet vibrant feel. 286Blue took this brief and responded with a great looking design that places the focus on the imagery combined with a crisp, graphic feel and a really fluid layout. As I said at the beginning, blogs evolve. I was never really happy with how the previous blogs looked on my iPhone, yet now more and more people are reading the majority of their digital content on smartphones and tablets. And while Instagram was integrated, other social content was minimized; you had to search around to find Pinterest or Twitter links. Here, everything is easily accessible and content from Steller, Instagram and Pinterest has been seamlessly integrated. And, as the image above shows, it looks as good – and works as well – on your smartphone or tablet as it does on a laptop or desktop. 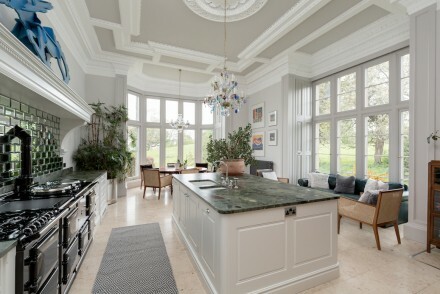 I don’t know how many times over the years people have told me about how working with a great architect or interior designer has added to their project, and, it has to be said, the same is true when you’re working with a great web designer. Copperline still exists on Tumblr and I’ll be sharing photos from the posts there with a link to this main site. I enjoy Tumblr and both The Property Files and Copperline have built up followers there, so in all these changes I wanted to make sure that this blog maintained its Tumblr presence. I hope you like how Copperline has changed; I hope that it feels like a vibrant space to explore. 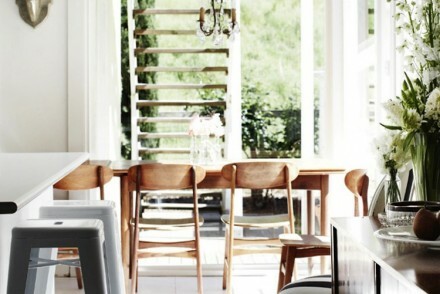 I can’t wait to start sharing great interiors and properties and architecture here.